Carnival in Pont Saint Martin is a quite long tradition started in 1902 and improved-as we can still see it-in 1910. This celebration has been characterized by vitality and joy through almost 100 years. 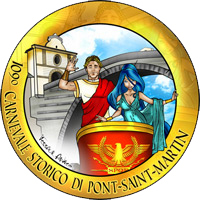 Pont Saint Martin inhabitants feel this event like an important appointment not to be missed, which has a deep meaning in terms of tradition and belonging to the community.